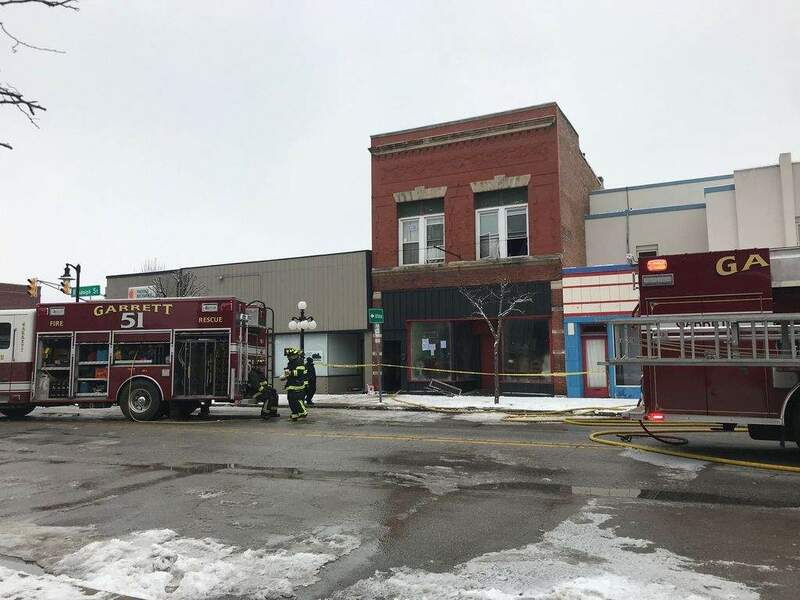 Michelle Davies | The Journal Gazette: Two people died and one person was hospitalized from a fire in downtown Garrett early today. Two people died and one person was hospitalized because of a fire in downtown Garrett early Monday. Garrett Fire Chief Ted Christensen said the fire started in a mixed-use building that had rental sleeping rooms upstairs. Seven people were living upstairs in the building when the fire began around 12:30 a.m., he said. Firefighters kept the fire from spreading to two nearby buildings. The state fire marshal is investigating, Christensen said.